This three-tiered Seder Plate was custom designed for a client in Ramat Bet Shemesh. 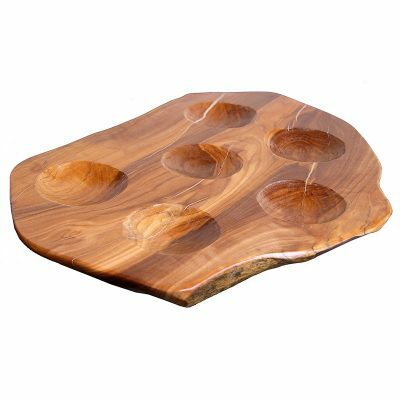 This Seder Plate with matzah trays is shaped and detail carved by Gabriel Bass in old-growth Yellow Cedar with a dark walnut finish. 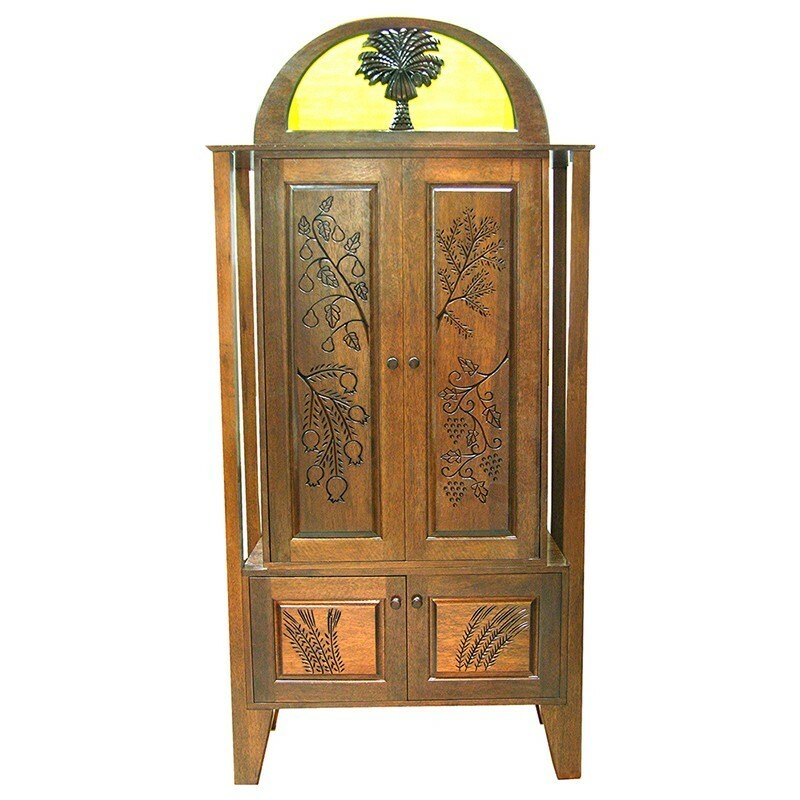 The sculpture is finish with a washable, durable, three coat lacquer finish and comes with glass dishes that fit over the species for easy cleaning. 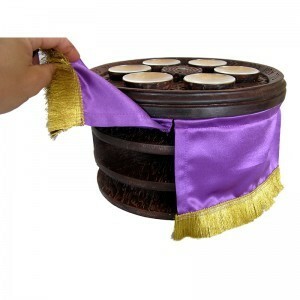 The silk cover was woven in. This tiered seder plate was custom designed and built according to the specifications of our client. 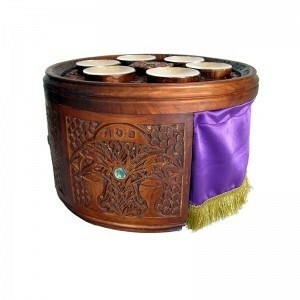 Custom commissioned judaica is designed specifically for each client, available in a variety of materials. 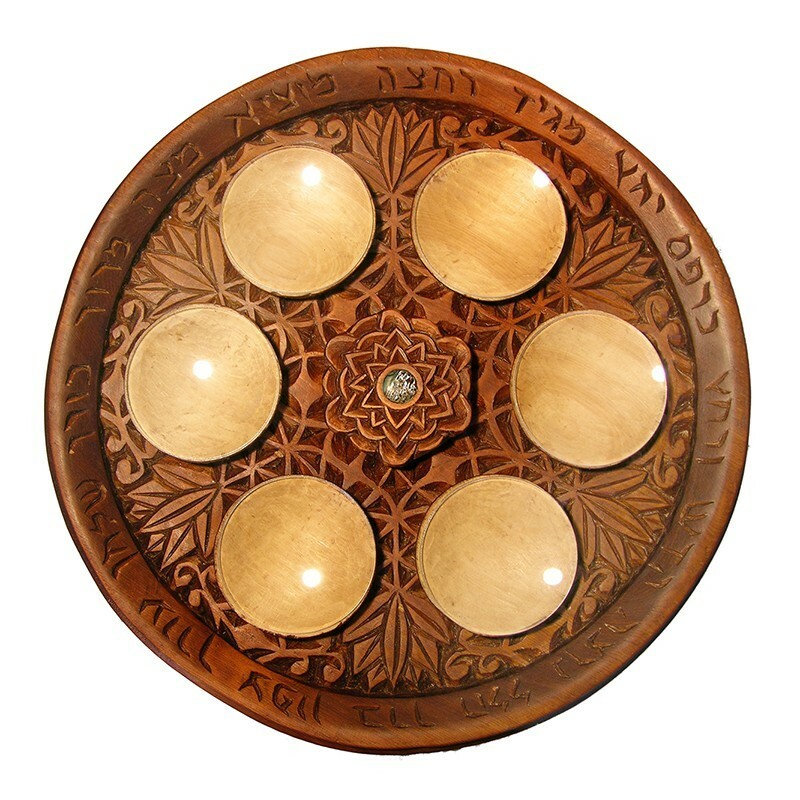 Each Seder Plate is built individually from the finest materials by Bass Synagogue Furniture jewish craftsmen in wood, glass, and/or metal. 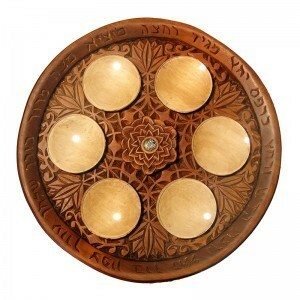 Some individually produced seder plates with matzah trays are currently for sale on discount. 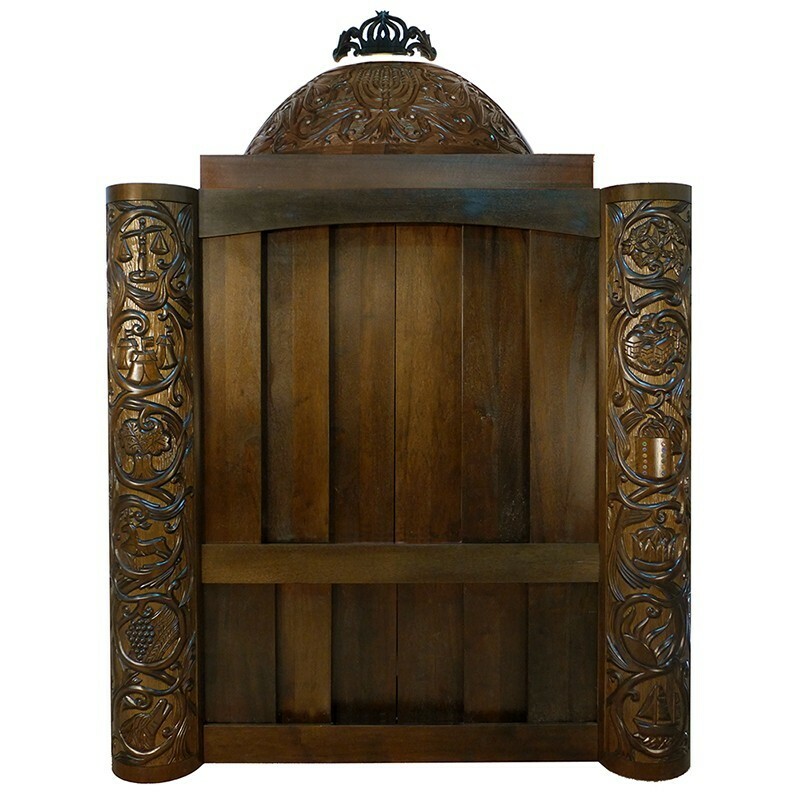 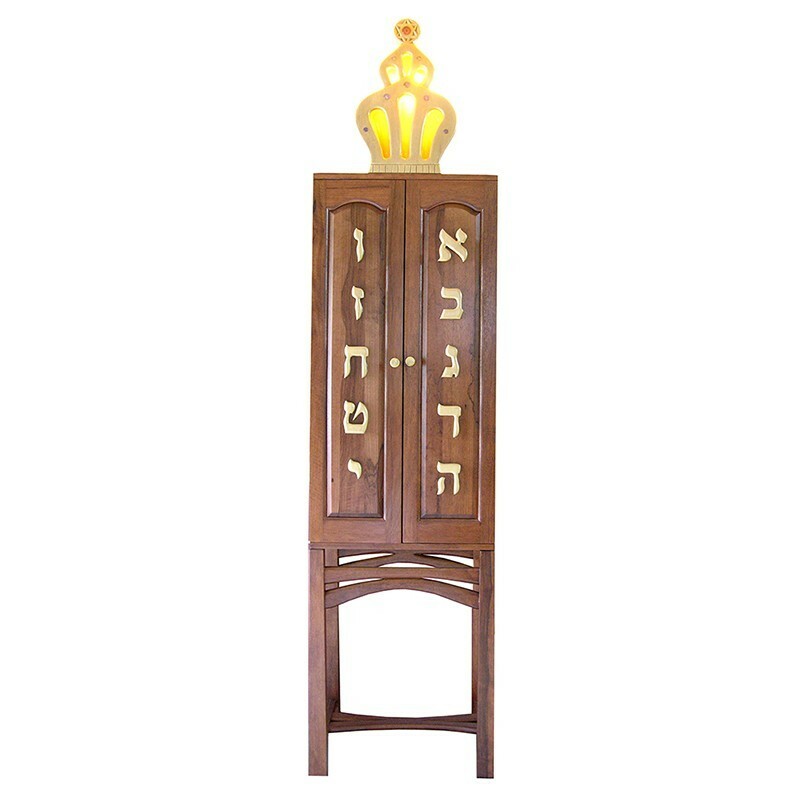 Inquire with Bass Furniture and Judaica about custom orders according to your needs and budget. 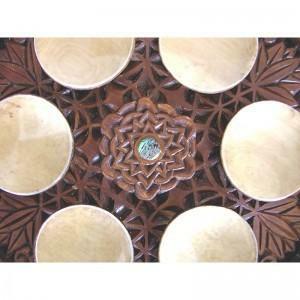 View currently available passover plates that are currently available for sale.